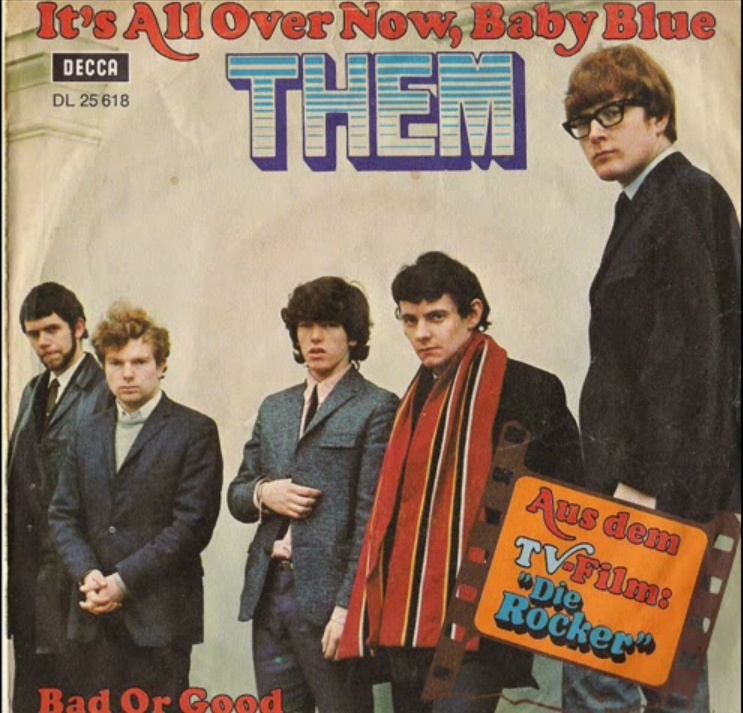 Them (featuring Van Morrison) recorded a cover of “It’s All Over Now, Baby Blue” that was first released on their album, Them Again, in January 1966 in the UK and April 1966 in the U.S. 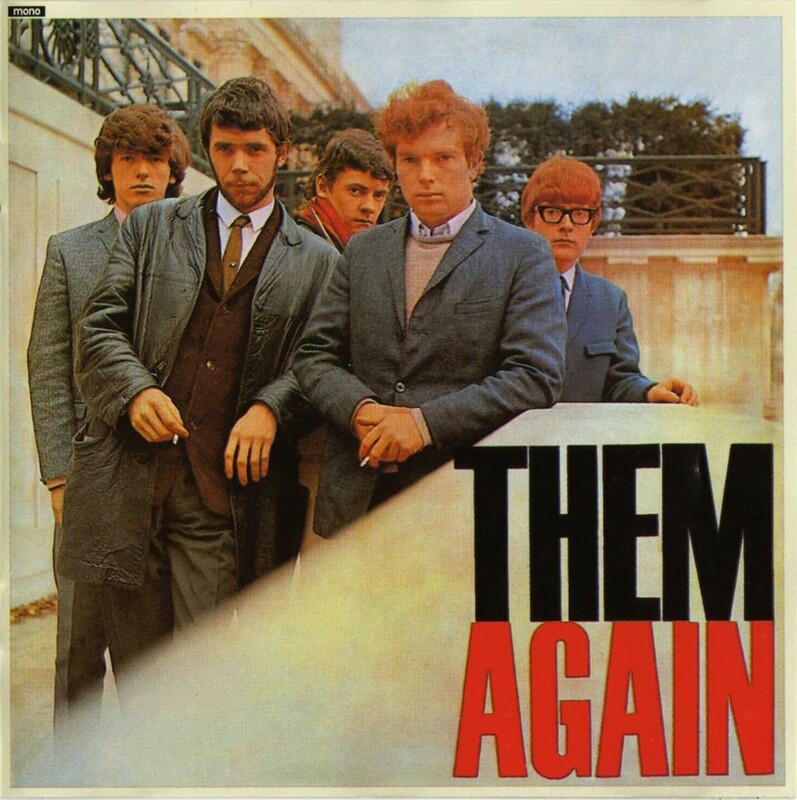 The song was subsequently issued as a single (b/w “I’m Gonna Dress in Black”) in the Netherlands during October 1966 but failed to reach the Dutch Singles Chart. It was later re-released in Germany in December 1973 with “Bad or Good” on the B-side, following its appearance in the 1972 German television movie, Die Rocker (aka Rocker). The single became a hit in Germany, first entering the charts in February 1974 and peaking at #13, during a chart stay of 14 weeks. In 1984, Morrison made a guest appearance at one of Bob Dylan’s concerts in London and the two musicians performed a duet of “It’s All Over Now, Baby Blue”.Morrison and Dylan also sang a duet of “It’s All Over Now, Baby Blue” at the final concert of Dylan’s 1984 tour on July 8, 1984 at Slane Castle, Ireland. I am not sure which of these this audio clip is from. Isn’t that Graham Parker in the photo?